Have you ever had a cross roads moment? Sure you have, you're alive aren't you? Well, today I am going to share with you a cross roads moment from my past. I am going all the way back to 7th grade. I remember going to JC Penny one day to purchase a pair of shoes. At the time they still had all of the hot stuff. 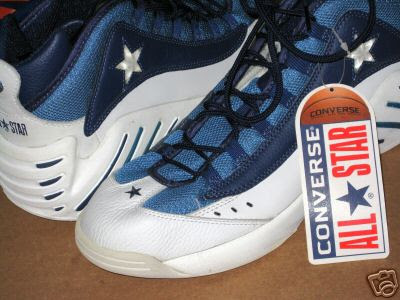 Anyway, I had recently seen the new Converse ad for the All Star 2000. "The Shoe that started it all is back in ball," was the tagline. That ad caught me, hook, line, and sinker. However, when I got there something different caught my eye. It was the Converse All Star Incoming. Three things jumped out at me. First was the design, I couldn't explain it but it was like nothing I had ever seen before. I think it was just that feeling you get when you see a new shoe for the first time, in person. Man those were the days. Second, it did not feature the chevron in star logo or the Chuck Taylor patch. Nope, the logo was a simple star. 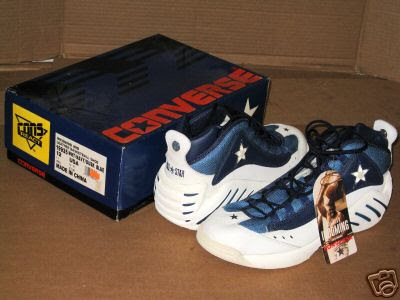 I was really excited because I had never seen a basketball shoe with just the star. 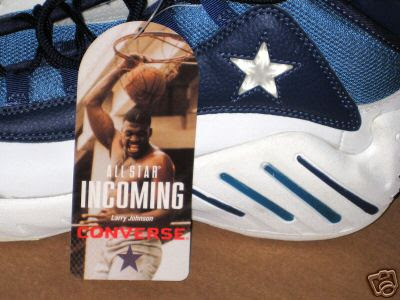 Thirdly, the tag had Larry Johnson on it. I was still in complete denial and shock that Grandmama had been traded from my Charlotte Hornets, to the Knicks. At the time I thought nothing good happened in New York. It was right there that I had to make a decision. Do I stick to my guns and go with the All Star 2000, or do switch and go with the Incoming....... I went with the All Star 2000. I wore them on the first day of 7th grade. I still remember my social studies teacher and one of the coaches at the high school, telling me to go upstairs to show my shoes to the 8th grade coach. He told me to tell him that my shoes were the shoes that the high school was wearing and that the middle school should to. I'd never been so proud of my footwear. And it was that moment that truly propelled me to my love of Converse. Recently a pair of the Incoming made it to eBay. And even though they were 1 1/2 sizes too big, I almost bought them. I've always wondered what would have happened had I bought them instead. Well after that book, I guess I should finally show you the shoes. 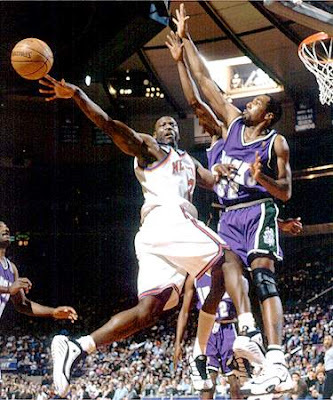 Here is an action shot I found of LJ rocking the Incoming's as a Knick.